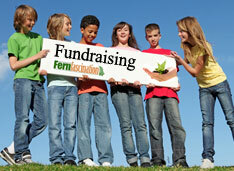 Fundraising is a great way to raise money for schools church groups, non-profit organizations, charities, etc. Value - Ferns from Fern Fascination are high quality plants. Profit - You will receive 65% or more on all the plants you sell! Ferns grown by Fern Fascination are available for a limited time during the spring growing season. Although we grow hundreds of thousands of ferns each year, availability could fluctuate, so it is important to book early. Ferns from Fern Fascination are ideal for Mother's Day gift giving, and special events such as weddings and anniversaries. Our ferns are attractive and popular green foliage plants. They add character and can enhance many areas of your home or office, indoors and out. Please contact us at Fern Fascination to obtain your initial password to explore more of the benefits of Fundraising with Fern Fascination.